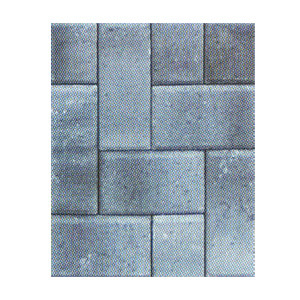 We bring forth a wide stock of Cobble Stone Pavers. 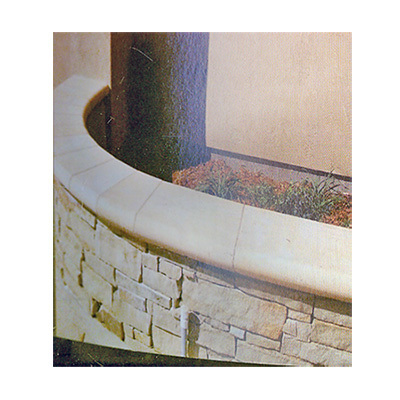 Excellent and economical ways to beautify your outdoor living spaces, these pavestones are great for walls, patios and edging. 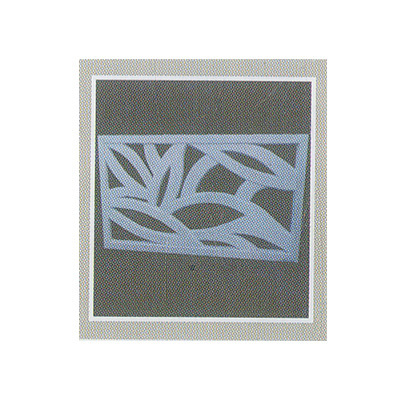 Our entire stock has all the elegance to transform your landscapes into beautiful dreamscapes. 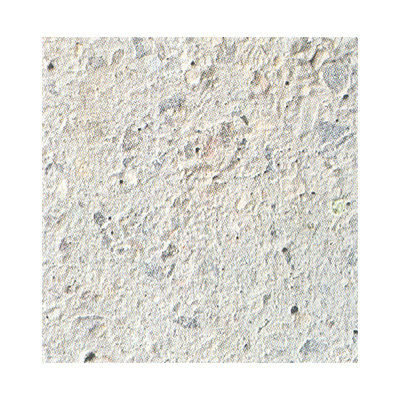 These Stone Pavers are available in a variety of shapes, sizes, textures and finishes to meet all your needs. 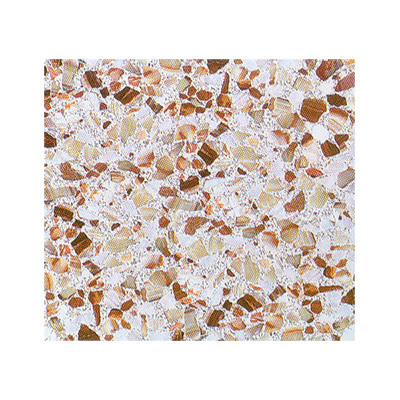 Our exclusive selection of Mosaic Floor Tiles has some of the world class designs to offer. 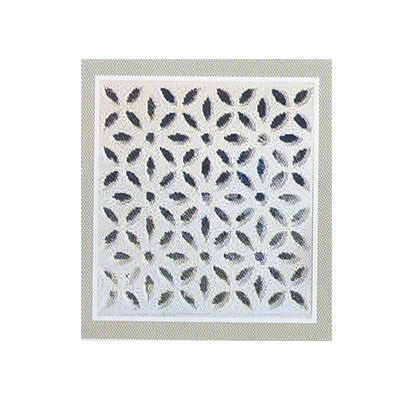 These Mosaic Tiles are specially crafted to create a focal point in any space. 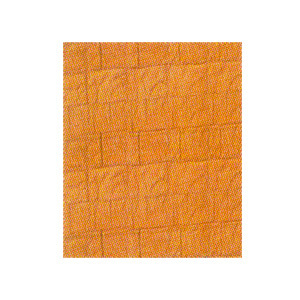 In addition, these tiles also create a 3D covering. 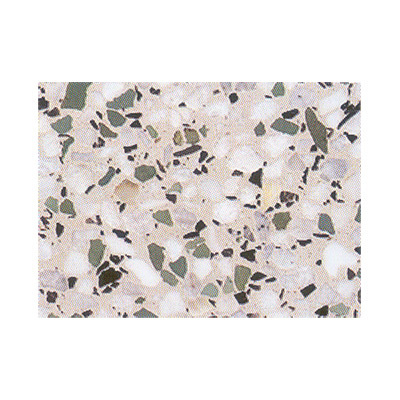 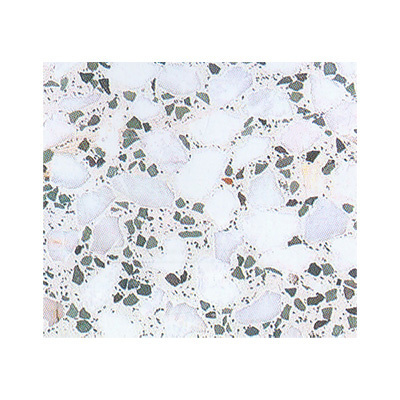 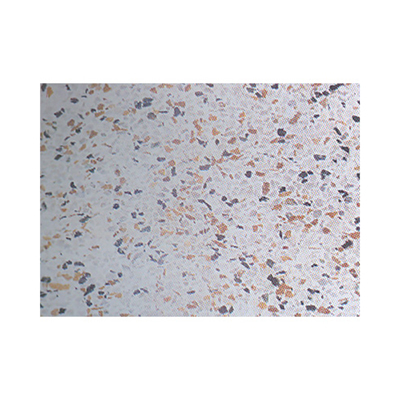 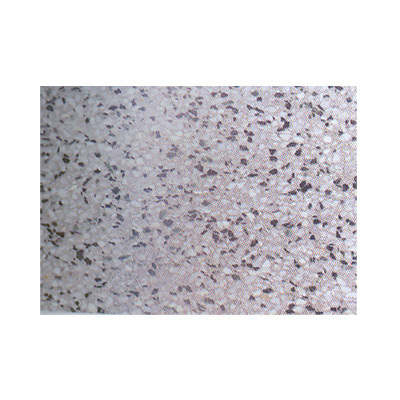 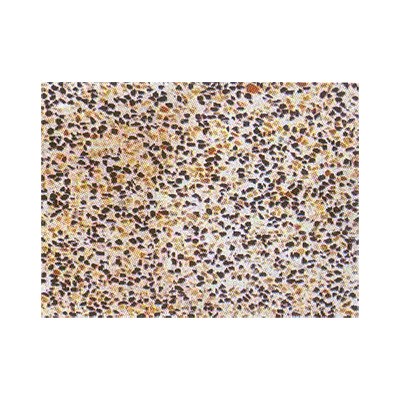 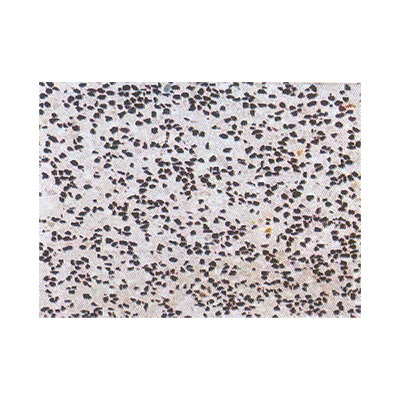 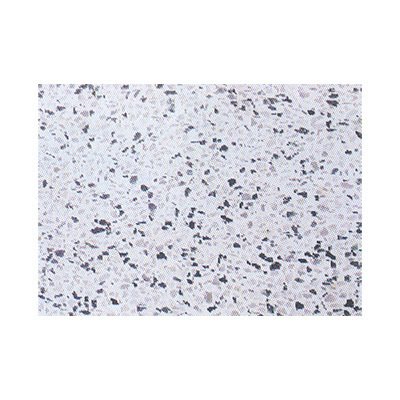 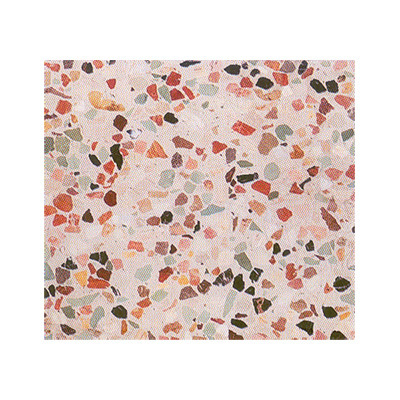 In addition, we also have Terrazzo Tiles that feature a luxurious and organic feel. 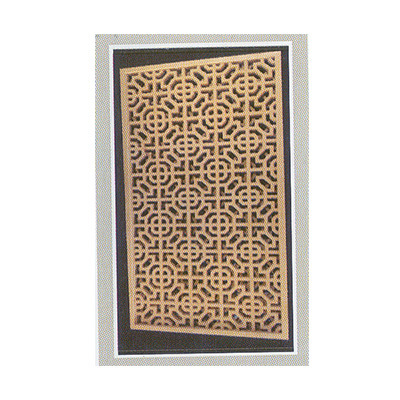 Our exclusive collection is sure to fill a room with a sense of lavish luxury. 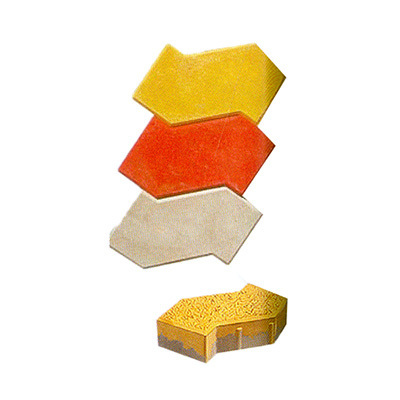 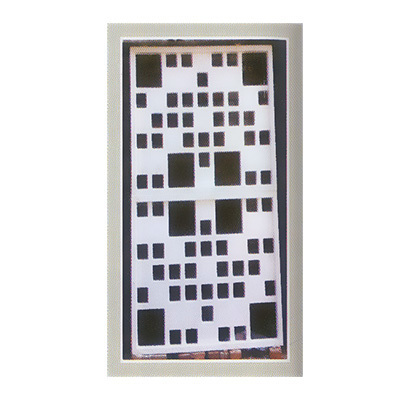 Available in varied shapes, dimensions and patterns, these tiles are carefully packed for safe transit. 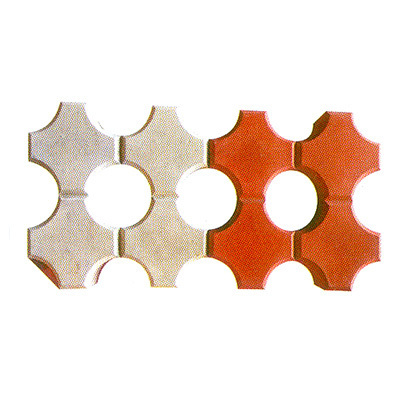 In the international market, we present an exclusive and beautiful range of FRP Architectural Products. 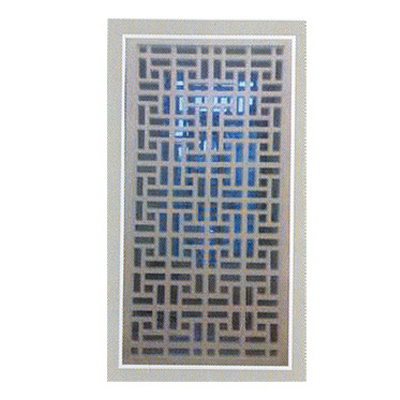 Offered to clients in a variety of designs, patterns, colors and dimensions, these products are widely used for interior and exterior decoration. 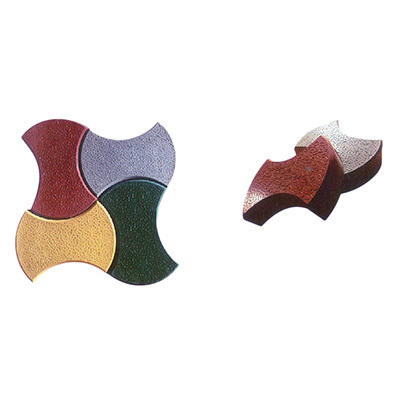 Fiber reinforced plastic used in designing the entire collection gives an excellent freedom to achieve multitude of colors and complex shapes in the products. 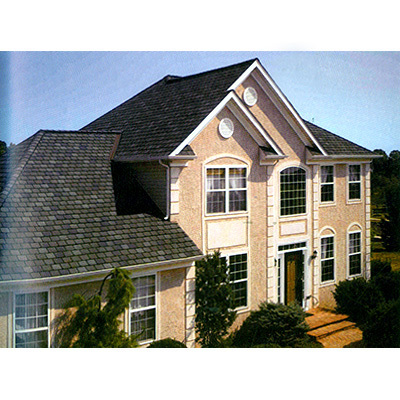 These FRP Products are ideal for various residential and commercial projects. 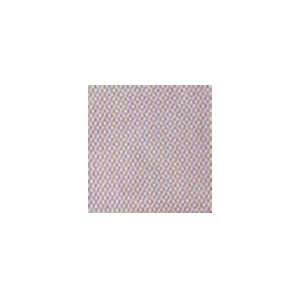 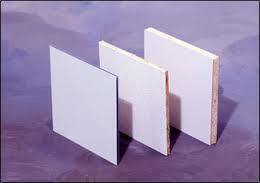 Since years, our company is engaged in manufacturing and exporting a great stock of Fiber Reinforced Plastic Panels. 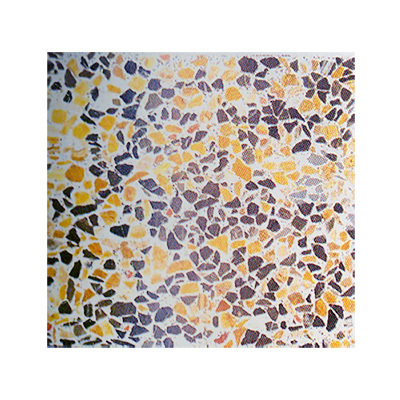 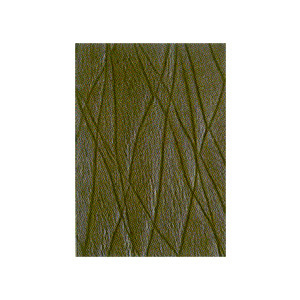 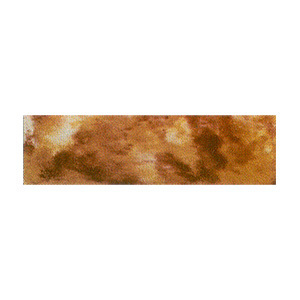 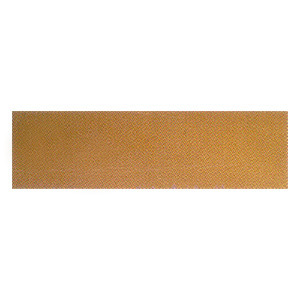 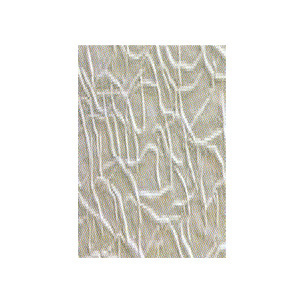 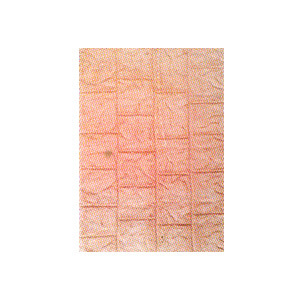 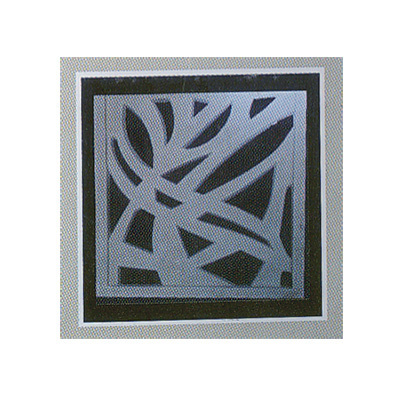 Widely used in classrooms, restrooms and restaurants on the walls and ceilings, these panels provide a highly durable and scratch resistant surface. 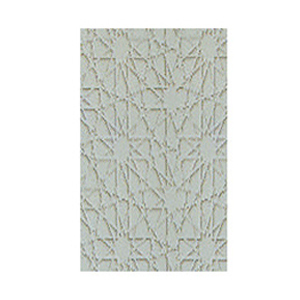 Wisely designed using supreme quality strong polyester resin reinforced with fiberglass, these panels are best known for creating a smooth wall surface. 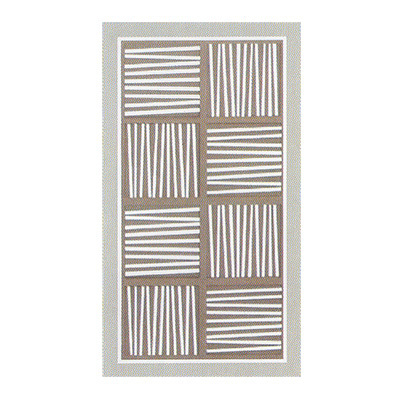 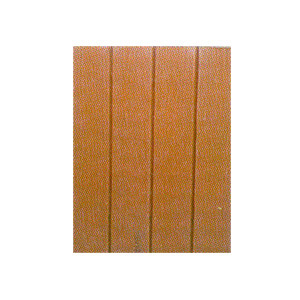 We offer these FRP Panels to clients in variety of colors and dimensions. 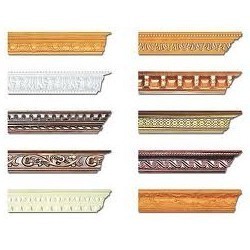 We have marked a niche in the architecture industry by manufacturing and exporting a wide range of FRP Exterior Cornice. 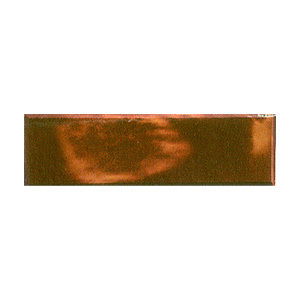 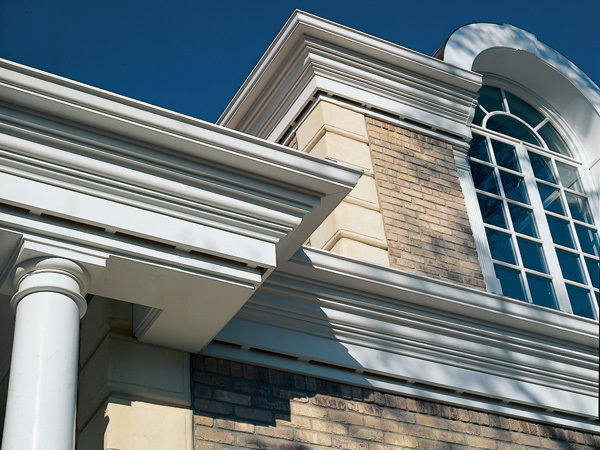 These cornices are wisely made of fire rated unfilled fiber reinforced plastic resin along with a UV inhibitor marine grade gel coating. 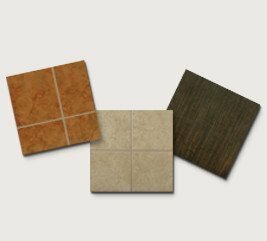 Available in the color of your choice, these are the ideal and economical method to create a dramatic multi- profile look on any establishment. 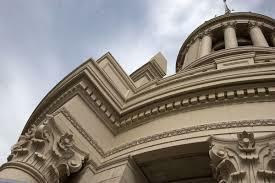 With our FRP Cornice, we create the most beautiful projection as the crowning at the top of a building wall. 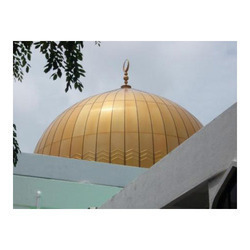 Within a short span of time, we have emerged as one of the leading manufacturers and exporters of an attractive range of FRP Domes. 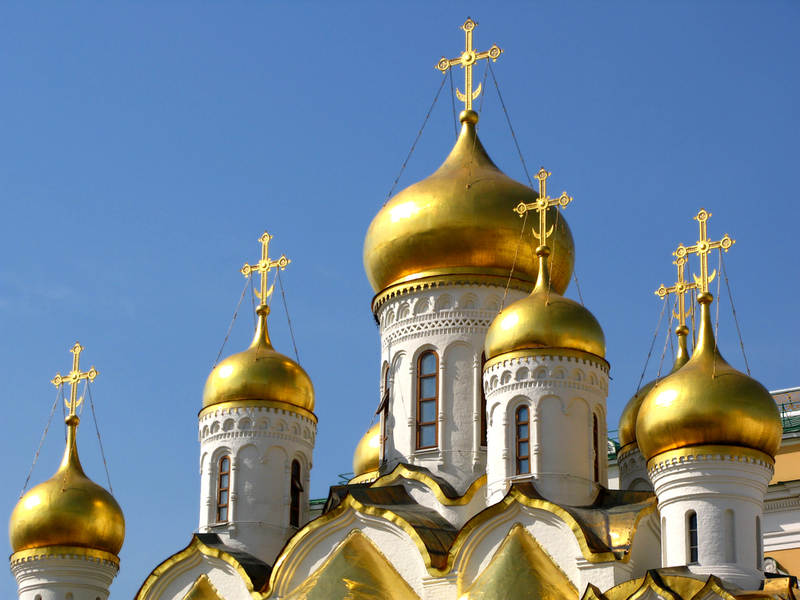 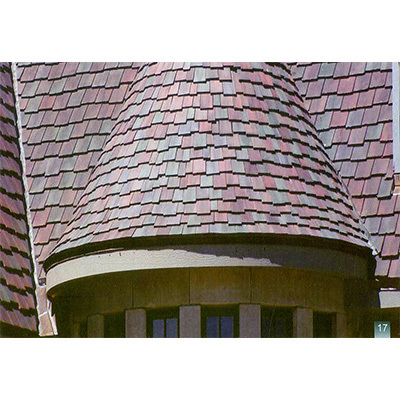 These domes are ideal for creating a high- end look on any building. 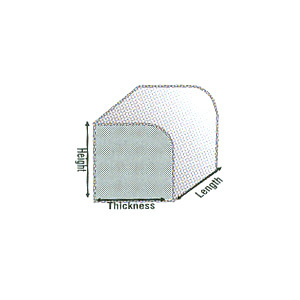 Constructed for both commercial as well as residential establishments, these Fiberglass Domes are also functional as they allow light to pass through. 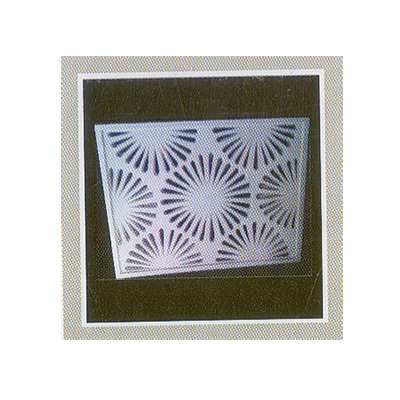 Available in both transparent and concealed designs, these Fiberglass Ceiling Domes are offered to clients at reasonable prices. 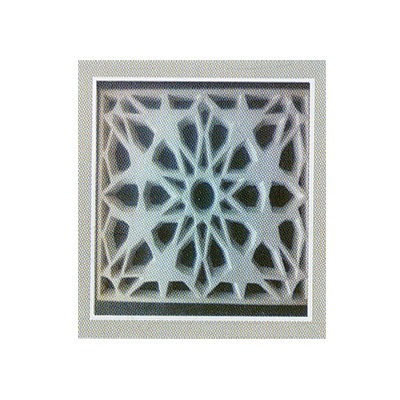 Our world class range of Glass Reinforced Concrete Jali is offered to clients in different dimensions with a variety of traditional and modern patterns. 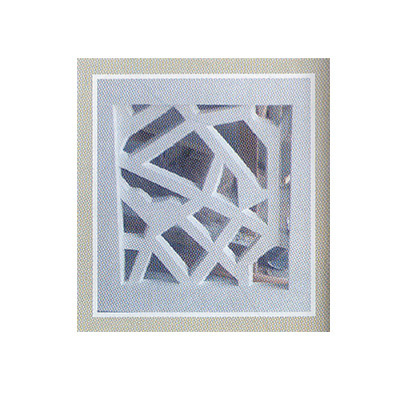 Highly preferred by interior decorators and architects for their commercial and residential projects, this GRC Jali is installed at the site using fasteners, steel screws, brackets or steel framework as per the demands & conditions. 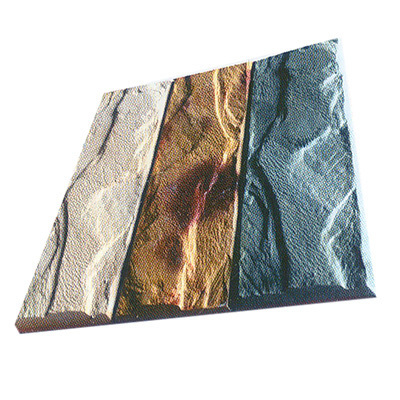 GRC used in designing these products consists of cement, sand, glassfibre and a mix of additives & water. 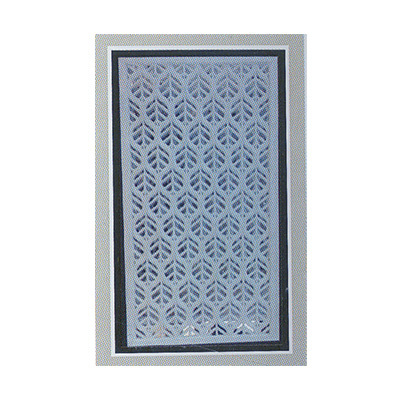 Our GRC Screen is available for clients at competitive price. 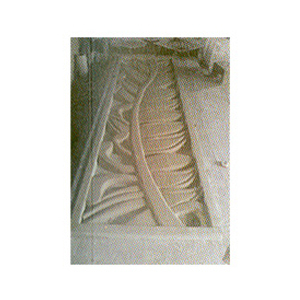 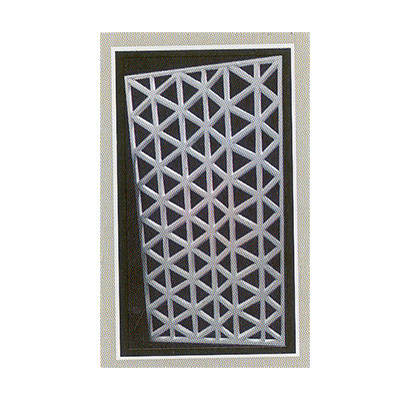 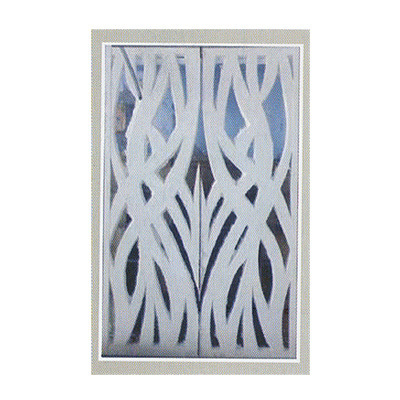 We are counted among the topmost manufacturers and suppliers of a wide range of Glass Reinforced Concrete Panel. 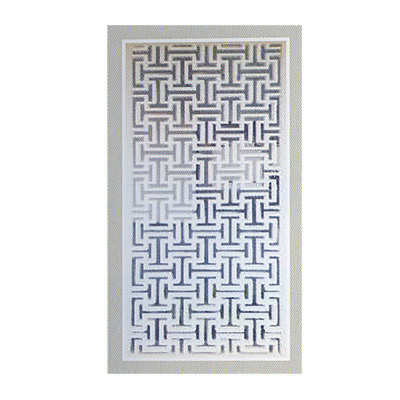 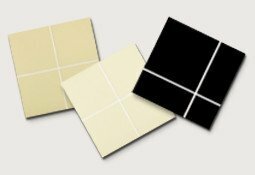 Also known as GRC Panel, our complete range is highly preferred among architects and engineers for making the most ambitious designs. 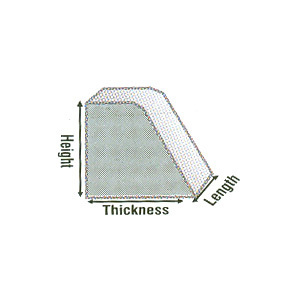 80% lighter than conventional pre-cast steel reinforced cladding, these panels have greater versatility owing to their excellent compressive strength and flexural properties. 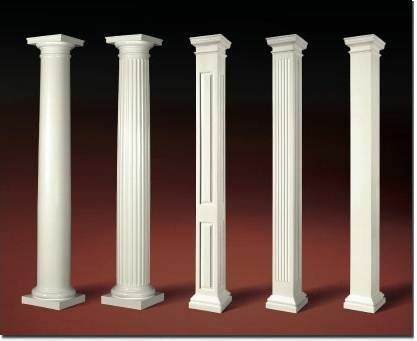 Backed with the support of a highly professional team, we are engaged in manufacturing and supplying the best range of Glass Reinforced Columns. 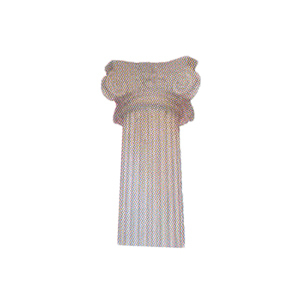 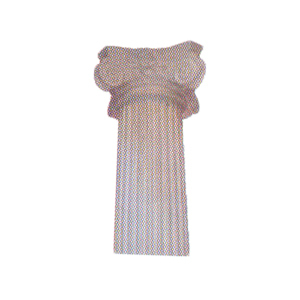 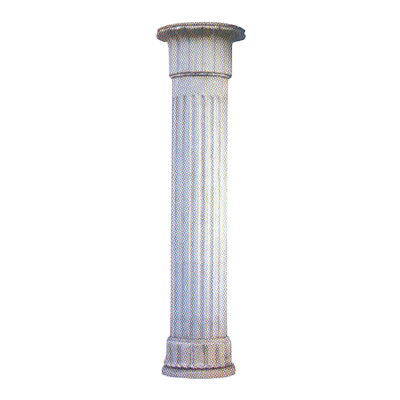 These GRC Columns are widely used in pergolas of gardens and parks, colonnades, porticoes, verandahs and pavilions. 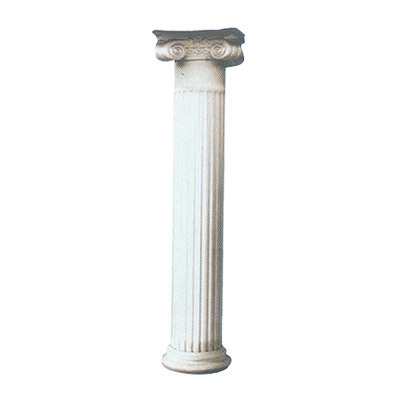 In addition, these columns are also used to create an artistic focus in gardens. 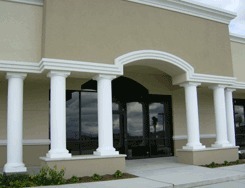 The major advantage with these columns over the precast concrete alternatives is the considerable saving in their weights. 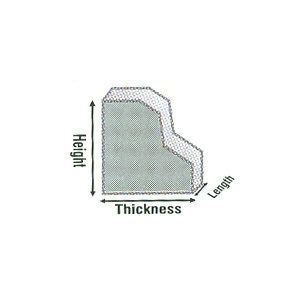 This remarkably lowers down the costs of handling, transportation and erection. 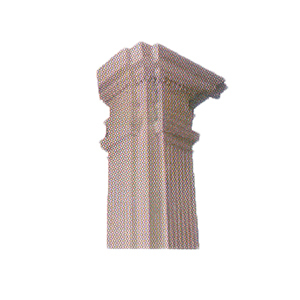 This results in savings in the costs of transportation, handling and erection of the columns. 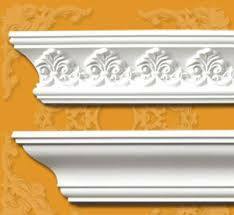 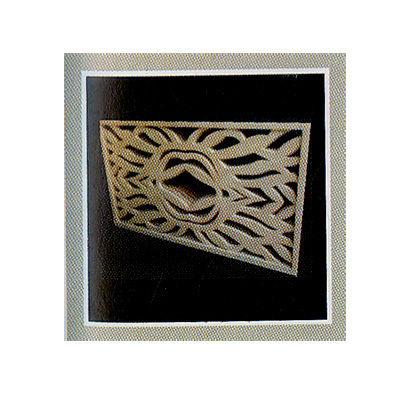 We bring forth a wide range of Decorative GRC Cornice for great architectural freedom to engineers and designers. 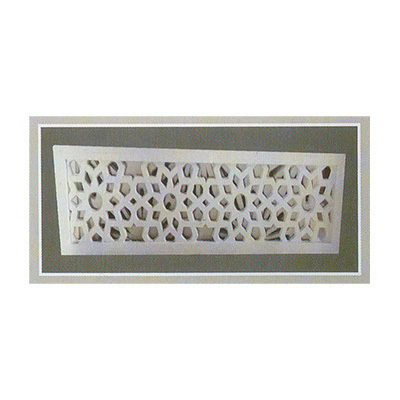 A simple and cost effective way of enhancing the design and visual looks of a building, this GRC Cornice is specially made to serve a number of aesthetic functions. 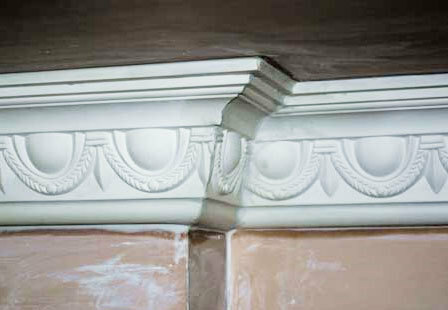 Wisely designed using glass reinforced concrete that is light weight, these cornices provide an excellent finish to the building. 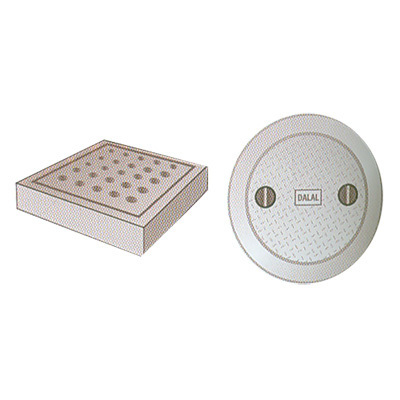 We are the leading manufacturer and exporter of an excellent range of GRC Ceiling Domes. 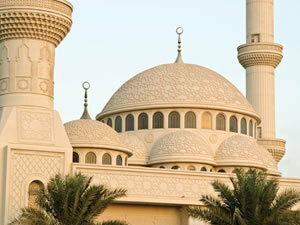 Domes are basically used as an integral part in various establishments such as hotels, mosques, hospitals and government establishments. 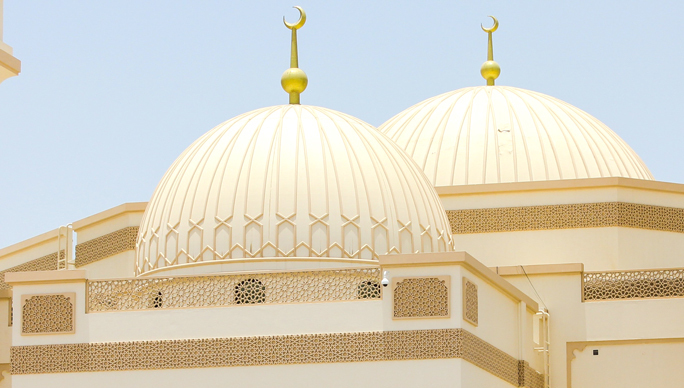 A variety of domes are constructed by our team using supreme quality glass reinforced concrete to enhance the looks of buildings. 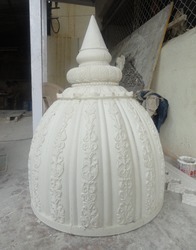 Our wide and exclusive range of GRC Domes is highly decorative in designs and ideal for both exteriors and interiors. 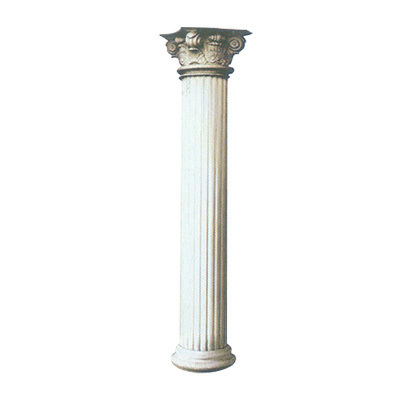 In the international market, our company is renowned as the topmost manufacturer and exporter of a wide range of Decorative GRC Balusters. 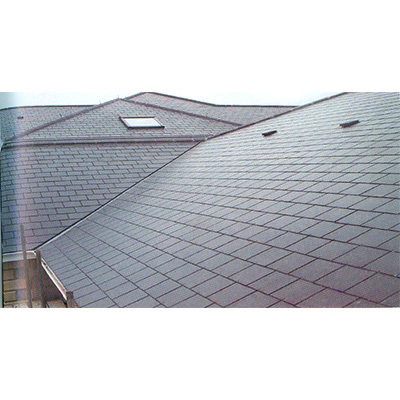 These are widely used in balconies and roofs for safety along with architectural beauty. 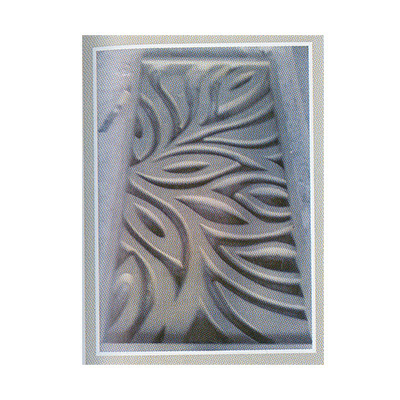 Being made of lightweight and highly flexible glass reinforced concrete (GRC) material, these balusters can be custom made in a variety of shapes, intricate designs and dimensions with ease. 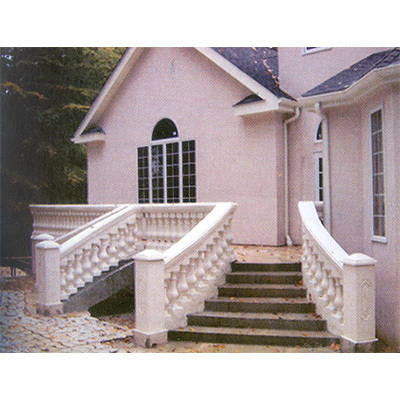 Our GRC Balusters are high in demand for both residential and commercial establishments. 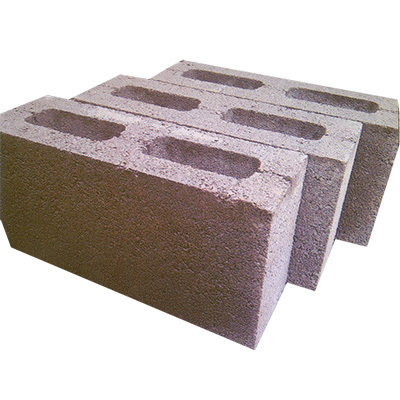 We are a renowned manufacturer and exporter of an excellent stock of Brick Cladding. 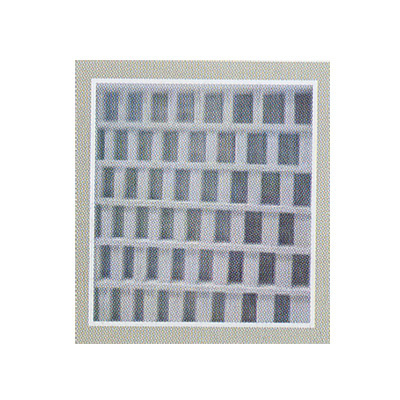 This cladding system is designed with an excellent combination of modern construction techniques and traditional brickwork. 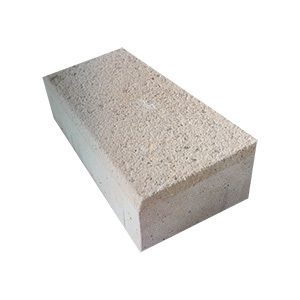 We have both Internal Brick Cladding and External Brick Cladding for all types of establishments. 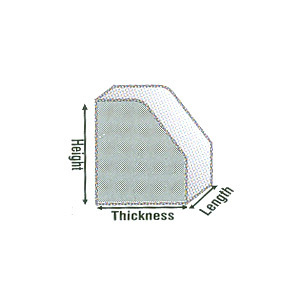 These are highly suitable for use with a wide range of substructures including timber frame, concrete, light weight steel frames, structural steel, masonry and structurally insulated panels. 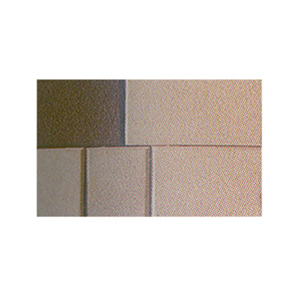 Fully equipped with all the modern in- house facilities, we are highly renowned for manufacturing and exporting an exclusive stock of Designer Stone Cladding. 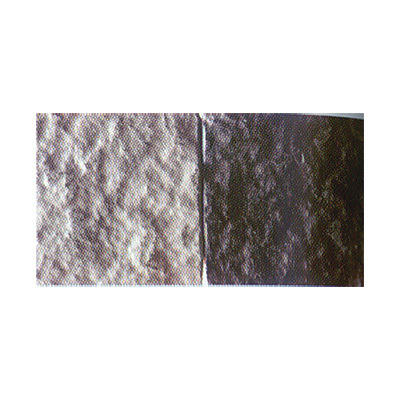 These cladding systems create an irregular surface texture in exteriors as well as interiors. 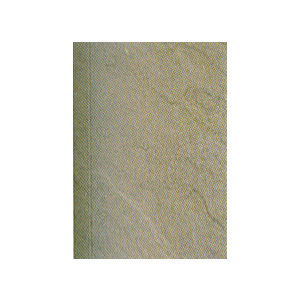 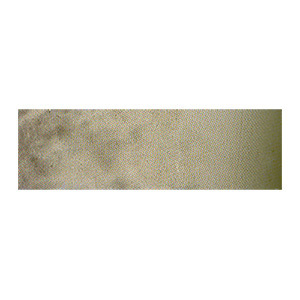 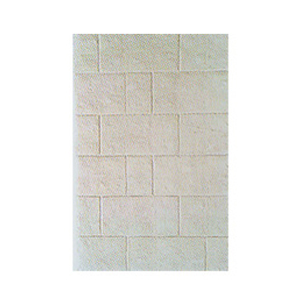 Our Stone Cladding is ideal for any virtual space in both residential and commercial buildings. 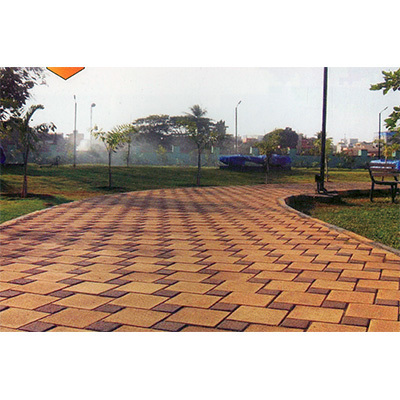 We feel proud to introduce ourselves as one of the leading manufacturers and exporters of an extensive range of Shot Blasted Pavers. 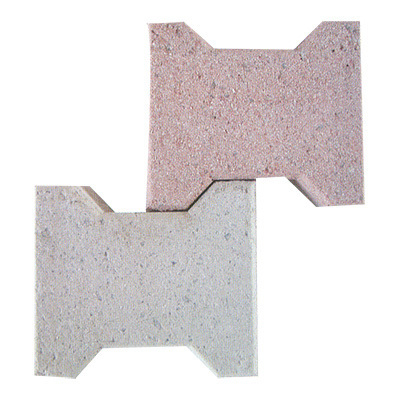 These pavers are the economical and highly suitable alternative to natural stones for landscaping requirements. 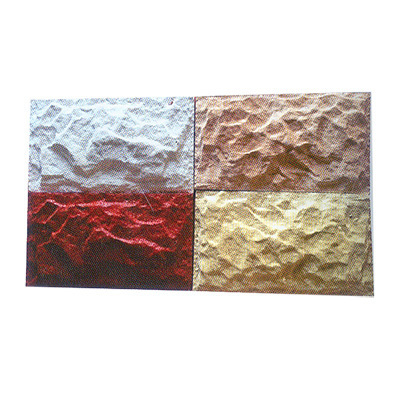 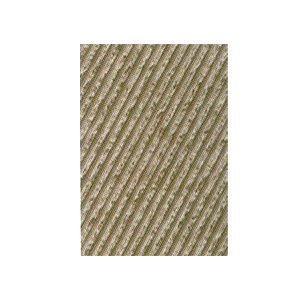 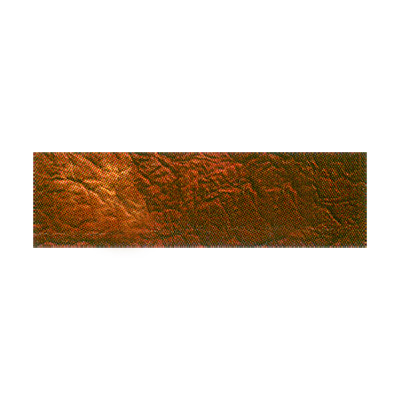 These are specially blasted for a rough and natural texture. 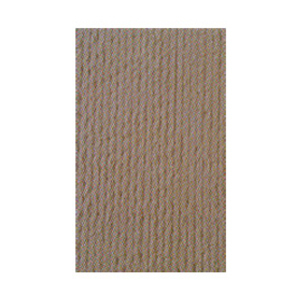 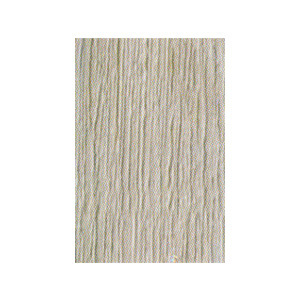 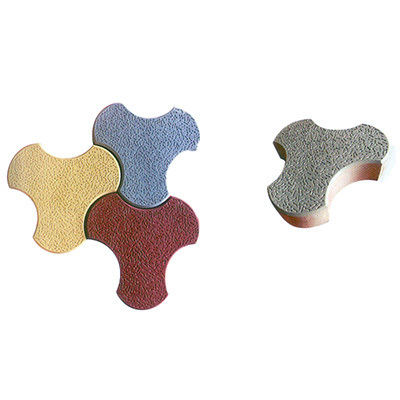 Our entire range is high in demand where antiskid properties, good finish and textured look is required. 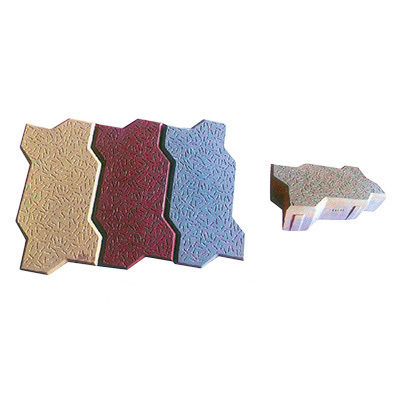 Our greats stock of CC Interlocking Pavers is highly suitable for areas where conventional construction materials are less durable due to various environmental constraints. 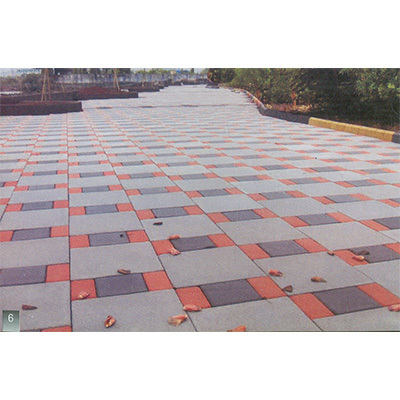 These interlocking paver systems are designed in such a way that they provide ready access to underground utilities without any damage to pavement. 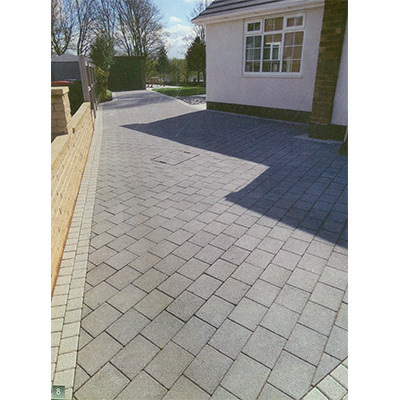 Our Interlocking Pavers are easy and simple to maintain as they are not affected by fuel and oil spillage. 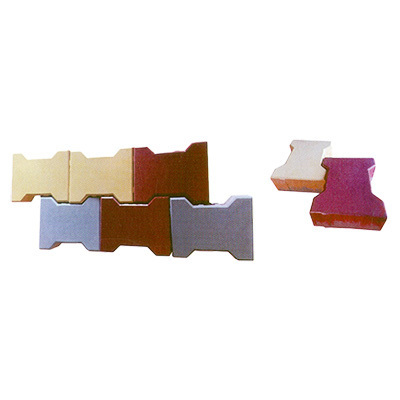 In addition, these are also resistant to horizontal shear forces caused by heavy vehicles. 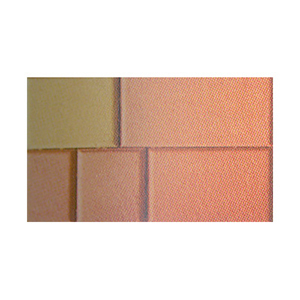 We offer world- class quality of CC Grass Pavers for enhancing the look of your outdoor spaces. 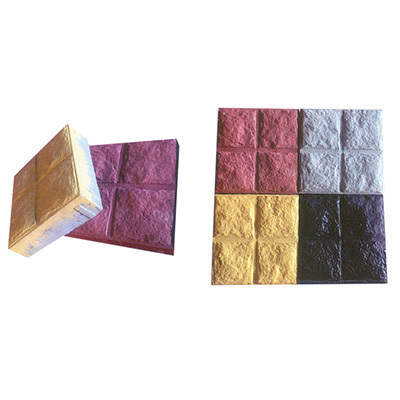 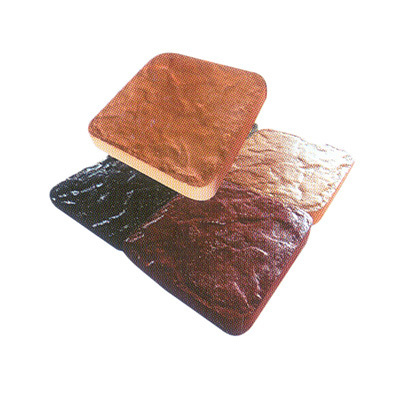 Attractive and durable, these pavers effectively prevent soil erosion. 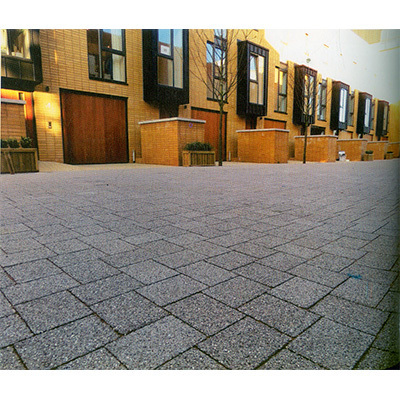 These pavers are permeable and environment- friendly in nature. 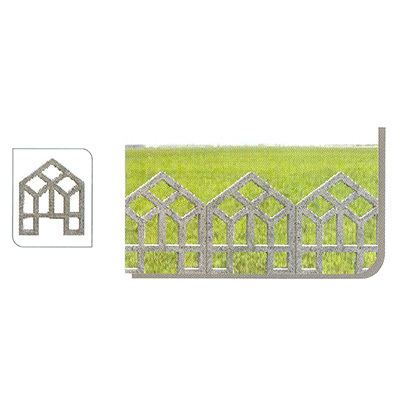 Our Grass Pavers are designed with interconnecting lugs that form a tight connection with the neighboring blocks to limit movement. 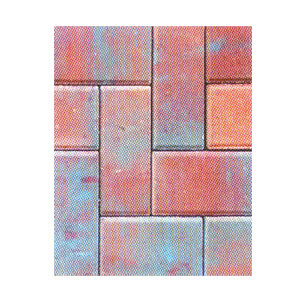 Our pavers are highly recommended for their beautiful aesthetic and practical benefits, along with their long-lasting characteristics. 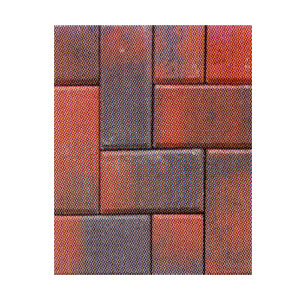 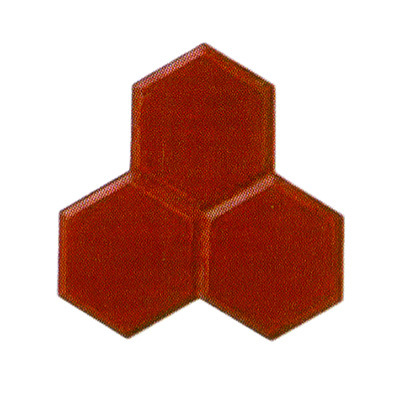 We have gained immense appreciation from clients for manufacturing and exporting the best range of CC Brick Pavers. 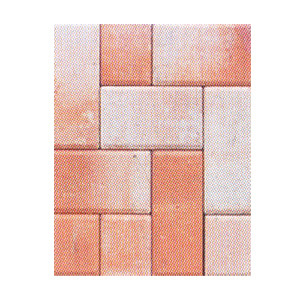 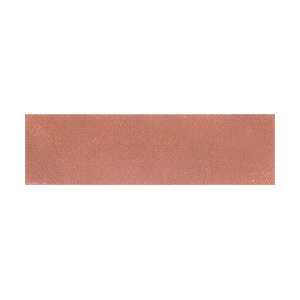 Available in a wide variety of colors and textures to meet clients' exact needs, these pavers are extensively used in various outside spaces such as patio, walkway and driveway. 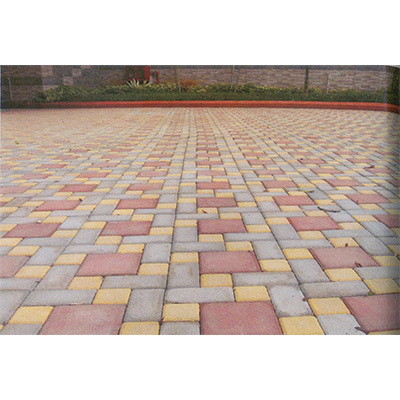 These are better as compared to concrete pavers in various parameters such as durability and colorfastness. 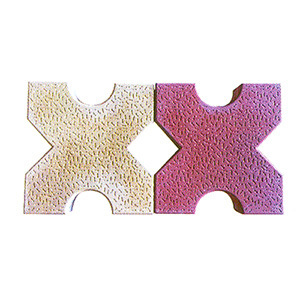 Catering to diverse requirements of clients, we are engaged in manufacturing and exporting the best range of Combi Pavers. 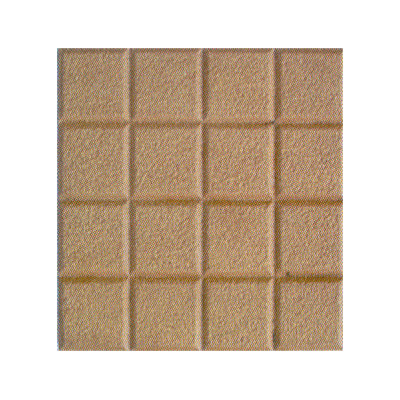 These pavers are the excellent alternatives for the most demanding design requirements. 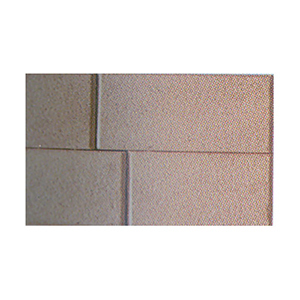 Highly suitable for residential, infrastructure or commercial realm, these pavers can be comfortably used for most driveway and roads. 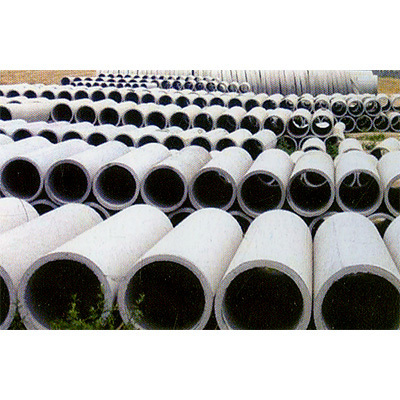 We are a well known manufacturing entity, engaged in exporting the best stock of RCC Hume Pipe. 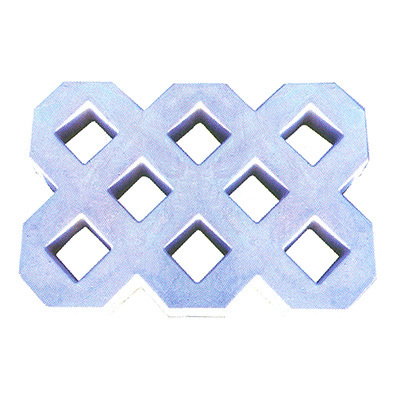 These pipes are extensively used for water supply in agriculture, protecting underground telecommunication and other cables from the pressure exerted by passing vehicles and drainage in the industries. 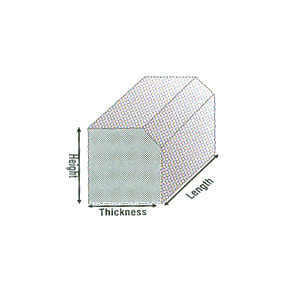 We also offer a wide range of RCC Pressure Pipe to clients in varied dimensions to meet their diverse needs. 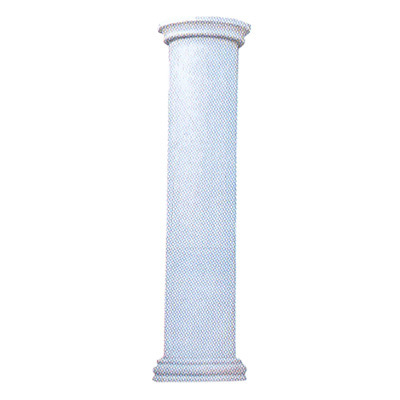 These RCC Hume Pipes also ultimately impart sturdiness to the concrete structure. 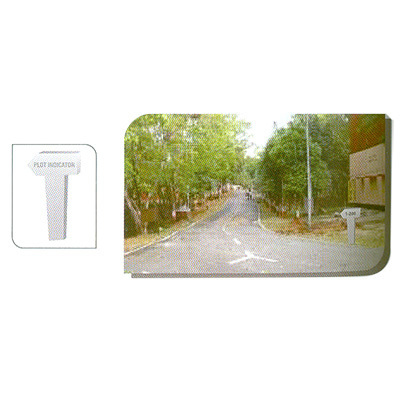 We bring forth a wide and extensive range of RCC Road Sign Board for our clients. 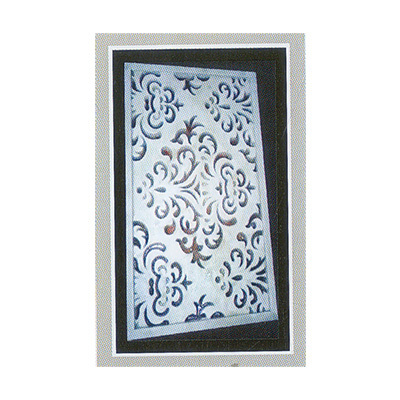 These sign boards are available in varied shapes, colors and dimensions. 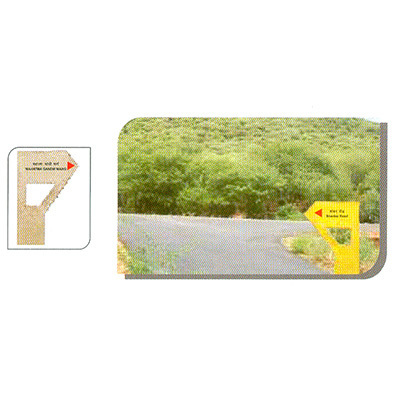 We even custom design these sign boards as per clients' specific requirements. 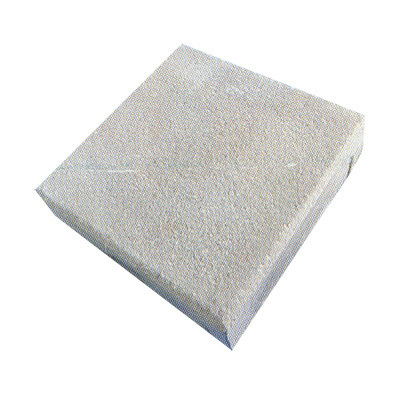 Made of reinforced concrete cement, our complete stock is widely used on the roads and highways for directions and other signs. 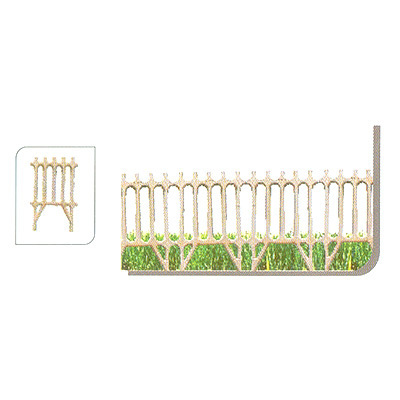 Our company is a highly renowned manufacturer and exporter of an excellent range of RCC Tree Guards. 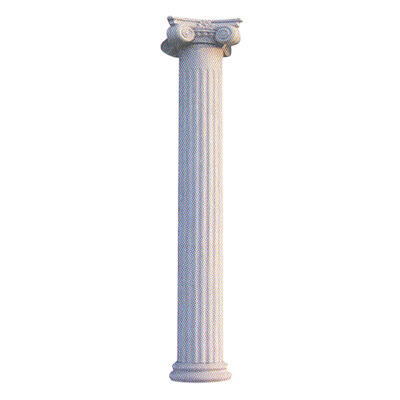 These guards are specially built to last long. 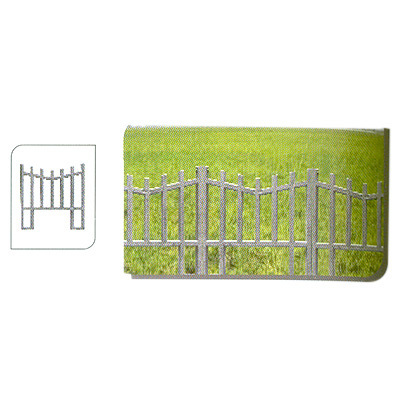 Protect your fragile saplings and trees with these guards from various insects, squirrels, rodents, rabbits, weed trimmers, mechanical damage and more. 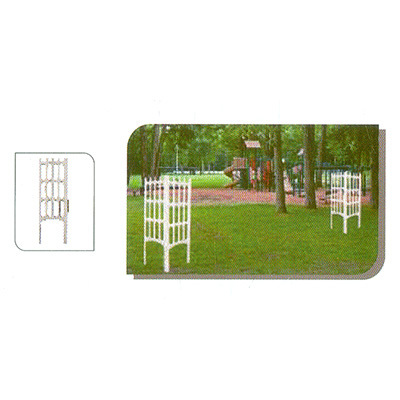 Wisely made of reinforced concrete cement, these tree guards are available in various dimensions and designs. 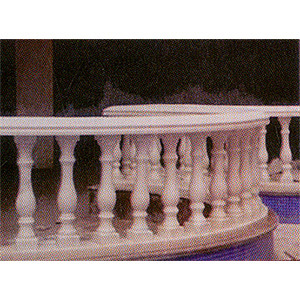 Gaining immense appreciation from clients, we are renowned for manufacturing and exporting a wide stock of SFRC Railing. 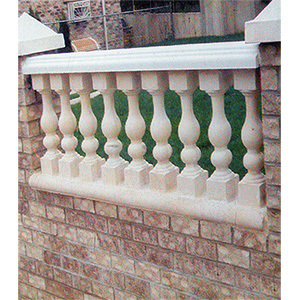 These railings are widely used in residential and commercial areas. 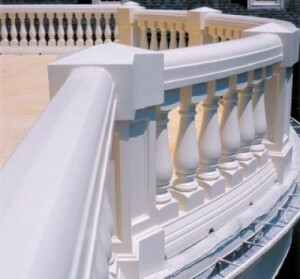 SFRC is an excellent combination of steel fibers and reinforcing concrete which when used in designing these railings, improve their crack resistance and ductility. 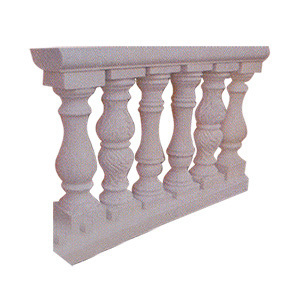 Our wide range of railing is offered to clients in varied dimensions, heights and designs to meet their exact needs. 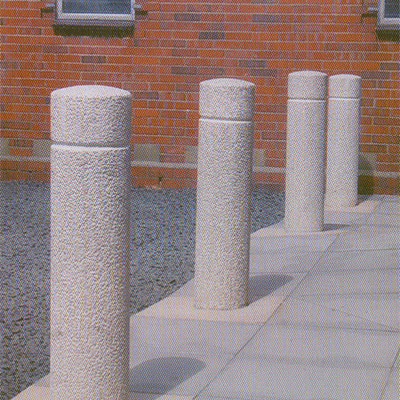 We present an exclusive range of RCC Bollards for applications such as traffic control and perimeter security protection. 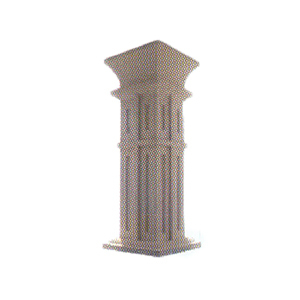 Available in wide range of dimensions, styles and shapes, these bollards are wisely made of reinforced concrete cement. 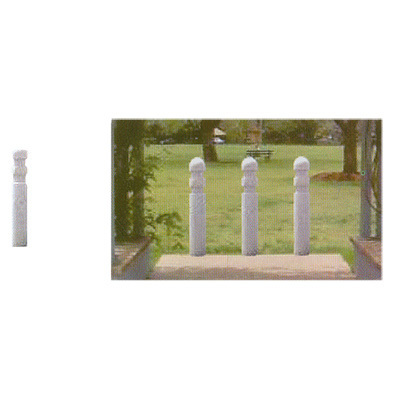 These Concrete Bollards are specially designed to withstand various weather conditions. 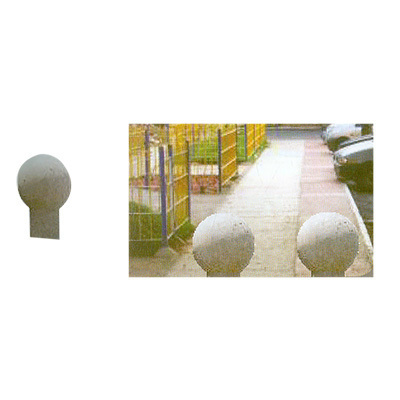 We design these bollards with an excellent combination of versatile design and robust impact protection. 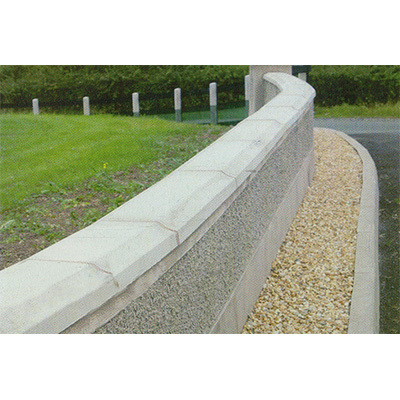 Leading the entire industry, we are named as the topnotch manufacturer and exporter of an excellent range of Wall Coping. 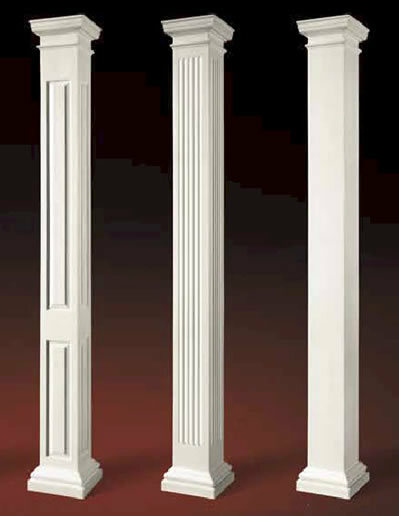 These are available for clients in various classic standard shapes such as camel back, double slant, streamline and single slant. 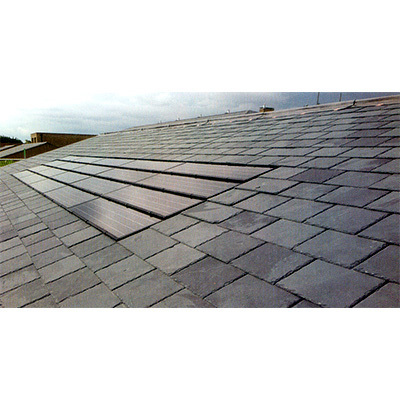 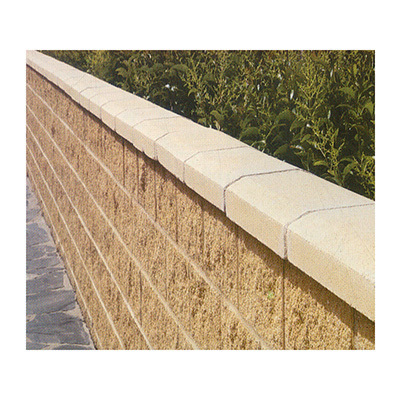 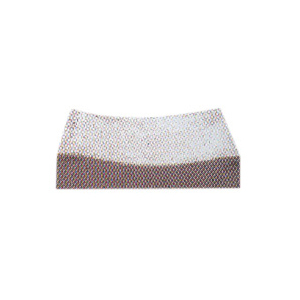 These are extensively used to provide an excellent protective top surface for all types of wall-like structures. 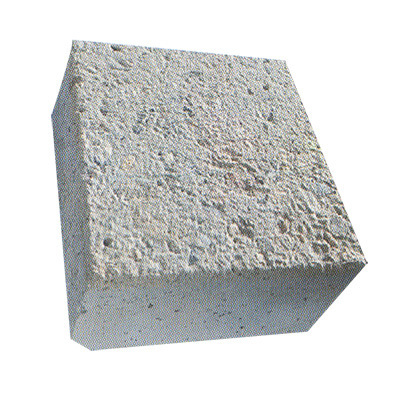 Available in varied construction materials such as concrete, brick, block and stones to meet diverse application requirements, these are offered at competitive prices. 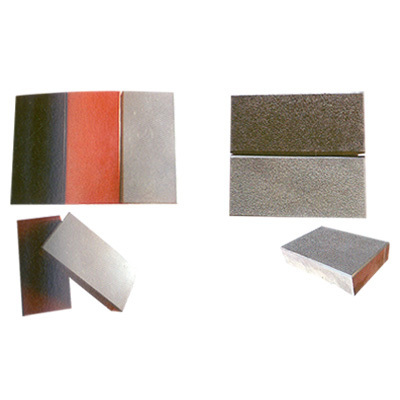 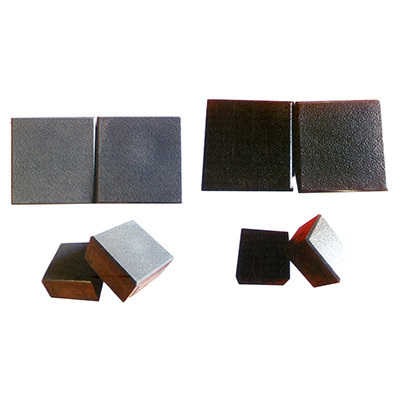 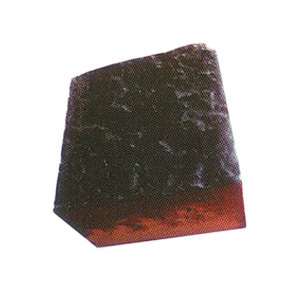 We have garnered a reputed position in the construction industry by manufacturing and exporting the best stock of Platform Coping. 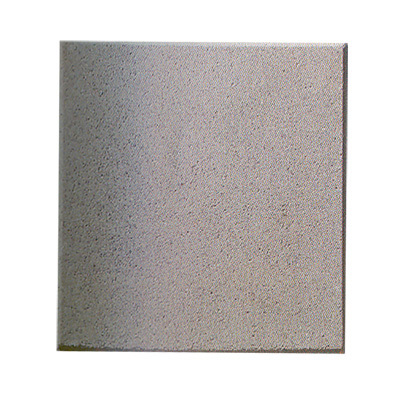 These are durable coping with aesthetically pleasing finish. 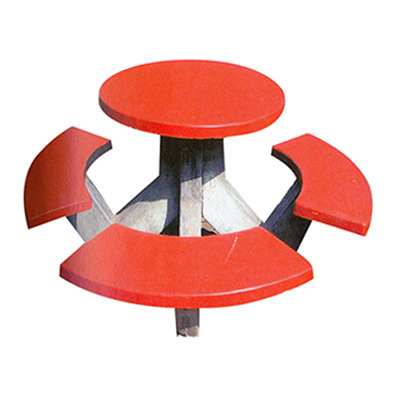 Designed to conform to slip skid requirements, these are wisely manufactured to meet the strict safety standards of industry. 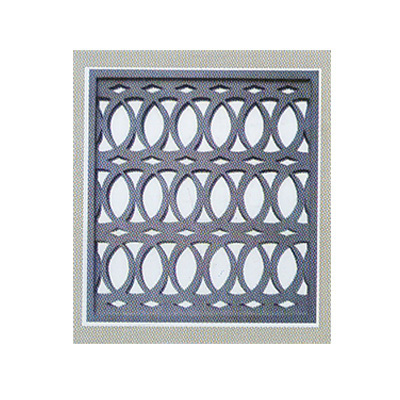 Come in one piece design, these are easy and quick to install. 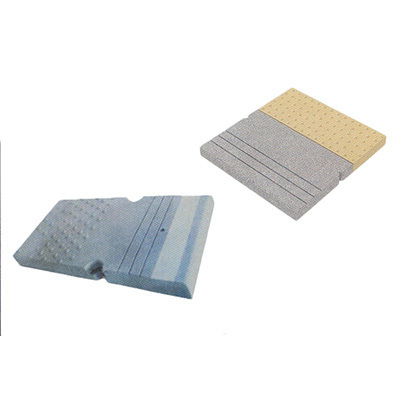 Widely used on railway platforms, these are custom made in varied dimensions with round edges. 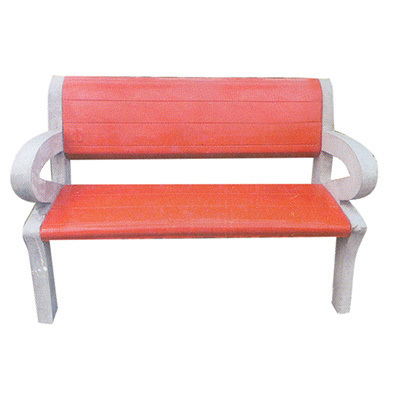 For our years of experience in this industry, we are renowned in the industry for manufacturing and exporting a wide range of Concrete Garden Furniture. 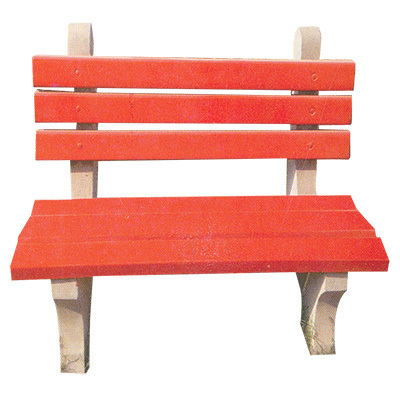 These furniture items are sure to add a new dimension in your outdoor living space. 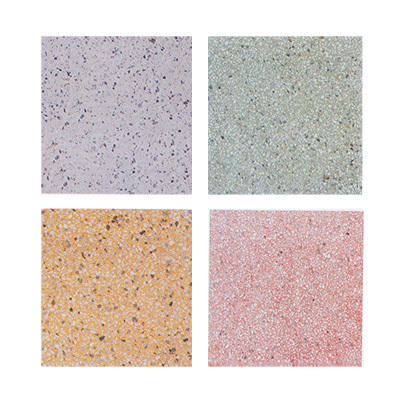 High in demand in restaurants, homes, villas and hotels, our exclusive Garden Furniture range is exclusively designed using highly strong concrete in line with the latest trends of market. 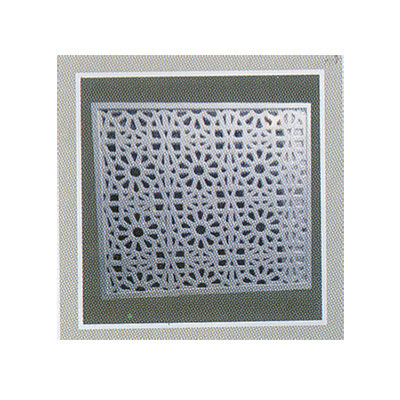 Our company is a well known manufacturer and exporter of an excellent range of SFRC Manhole Covers and SFRC Manhole Frames. 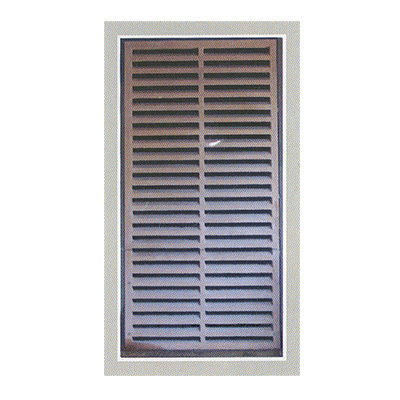 These are designed for enabling clear opening. 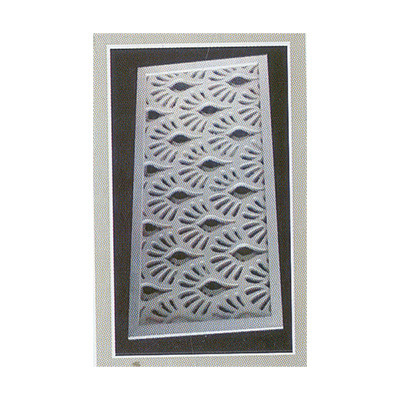 Durability and performance of these covers and frames are better than cast iron. 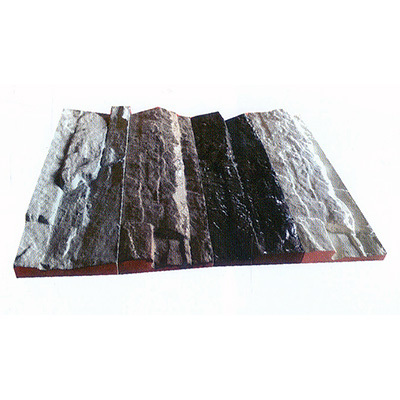 Steel fiber reinforced concrete is used to manufacture the entire stock in compliance with the industry safety standards. 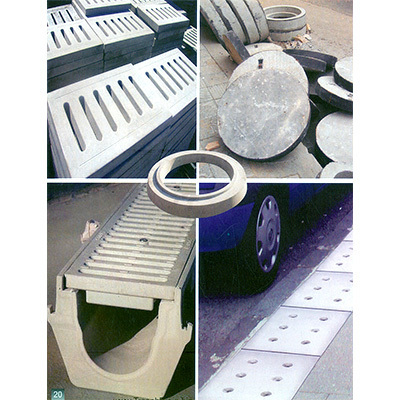 These are widely used as drain covers on main roads.